Right - so we've left tropical Cairns and after some serious milage, we are now in tropical Airlie Beach. It's the closest point on the mainland for the Whitsunday Tours. The Van is going great!... it has given us even more freedom - if that's possible!... Since picking 'him' up we've toured up the top of the country (Port Douglas, Daintree and Cape Tribulation) seeing some great sites... perhaps the best of the best were, The Croc Farm (steve Irwin style show etc etc), The Rainforests, snorkelling on the Great Barrier Reef (AMAZING!) and Cow Bay... a crazy drive to get there... but worth it!... As mentioned we've started heading south, probably 1/6th of the way down... on the way we checked out millaa millaa falls, Ingham and then Townsville. We should have pics on as soon as we can! Backtracking a little... the Reef was wicked - we saw so much... the best was a sea turtle which i almost touched... he was so close! - it's apparently quite rare to spot one, but me and gem where on a mission! - i think we swam a few mile to find him!... the whole tour was really good - great food, weather and live entertainment in the form of a woman singing and playing guitar on the way back!... all for a mere 45 squid each! Airlie beach looks really youthful - tons of packers (back not fudge!) here! so we're planning a big night tomorrow. 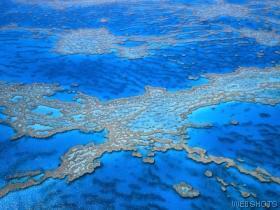 it would've been tonight but we have just booked a trip out sailing and diving on the whitsunday islands. We'll explain more once we've done it, but we're both really looking forward to using our hard earned padi skills again!